John Campbell caught up with me and friend Keith Donnelly a month or so ago and did some filming. A short 2-minute version played on KCRG TV-9 news, and then he made this extended version. I hope you enjoy. 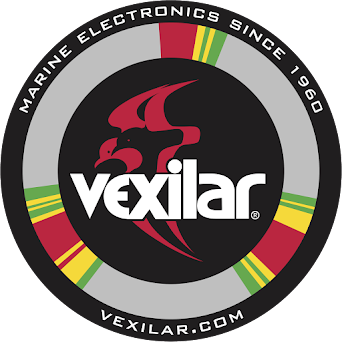 To learn more about VEXILAR and their products click on their logo or contact me with any questions. 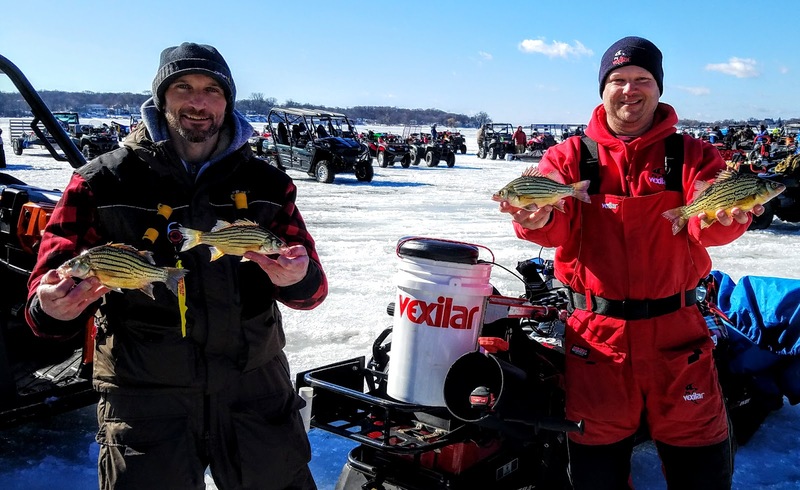 The Clear Lake Yellow Bass Bonanza has quickly become the ice fishing outing of the year here in Iowa. Each February hundreds of ice fishing anglers swarm to Clear Lake, Iowa to take part in the event. The event kicks off with a banquet Saturday night, a full dinner is provided to all tournament anglers and hundreds of dollars of prizes are given out. A quick meeting of how to be safe on the ice and the event rules concludes the night. 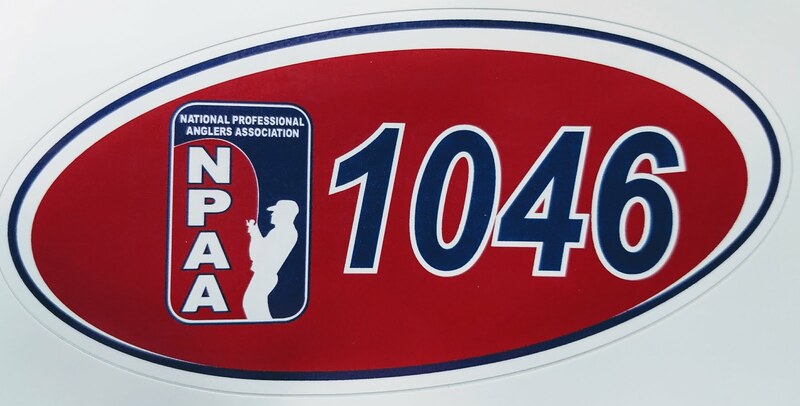 I have participated in national bass tournaments not quite the size of this event, and they do not come close to the organization and pre-planning. It is a fantastic event that is run absolutely amazing for the amount of anglers present. Sunday morning all anglers gather on the ice at MacIntosh State Ramp. This year the Ventura Fire Department had coffee and breakfast burritos for all to enjoy, I sure filled up! This years' event was the largest to date, 265 teams participated bringing almost 600 people to Clear Lake for the weekend event. Everywhere my partner and I went Saturday and Sunday was filled up with anglers taking in all Clear Lake has to offer for anglers around the state as well as Minnesota and Nebraska. Saturday, my partner Jacy Large and I hit the lake in search of Yellow Bass schools. They were not easy to come by like many previous trips to the lake, but we kept drilling and kept dropping the Vexilar 28's down the holes waiting for the groups to show up. Fish were reacting to spoons of many different colors and several different colors of jigs too. Once we found them in 7-10 feet of water, they seemed to bite well. We found several places that the Yellows were roaming and felt comfortable as we packed things up for the day to head to the banquet. The banquet is always a good time, with great food and a chance to catch up to guys that enjoy the sport of ice fishing as much as I do. Stories are shared and future ice fishing plans talked about. Each year at the banquet is the listing of prizes to be given away for the various places that Kevan Paul and his crew at Clear Lake Bait and Tackle give out after the weigh-in on Sunday. Sunday came with nice temperatures but a stiff 20-mph wind that never let down all day long. It made some bites tough to detect, but we made our way through the day. We hit 4 different areas, but really settled in to an area around the 9 foot range. Drilling was a constant as we made smaller moves to stay near the schools. When the day was done, we had our limit with some really nice fish, the longest was just over 10.75 inches. We were proud of what we accomplished, a limit of yellows and now it was up to the scales to decide how we fared against the other teams. When things settled down, we ended up in 16th place overall. We have fished the event 3 times now, and each year we strive for a top 25 placing, we were very happy to be called out at 16th and collected our Grizzly40 cooler for our prize. It was an awesome weekend full of fishing, and seeing friends that love this sport like I do. Thanks to Kevan Paul and his gang once again, they keep making this event bigger and better every year. If there is room next year, you better plan early to get your place reserved at the best ice fishing event the state has to offer!